Wow! 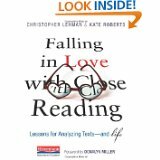 It’s been over a year since Chris Lehman (@ichrislehman) and Kate Roberts(@TeachKate) published Falling in Love with Close Reading. There have been Twitter chats, presentations, Twitter book study chats, PD sessions and much continued conversation about the many facets of close reading. It has also been more than a year since the Close Reading Blog-a-thon! This post “Close Reading is not THAT important!” is one of my favorites. Have you read it? What about the series of posts between Chris and Kate? 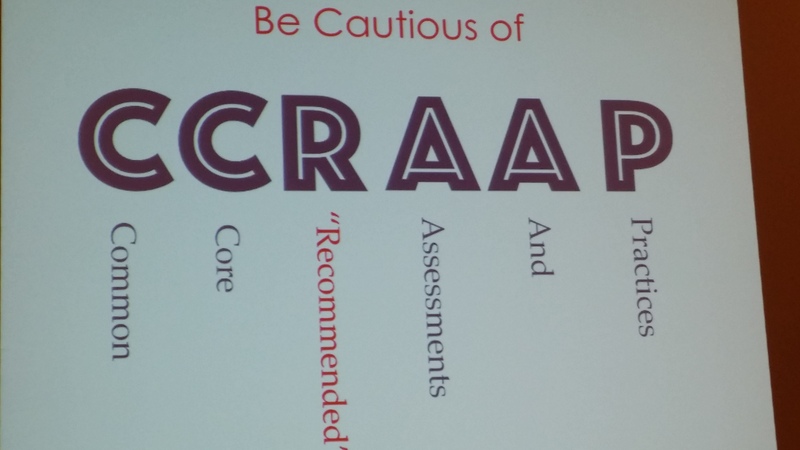 Check out the thought-provoking posts and reread CCR Reading Anchor Standard 1. So today, it was back to work on reading for a bit. 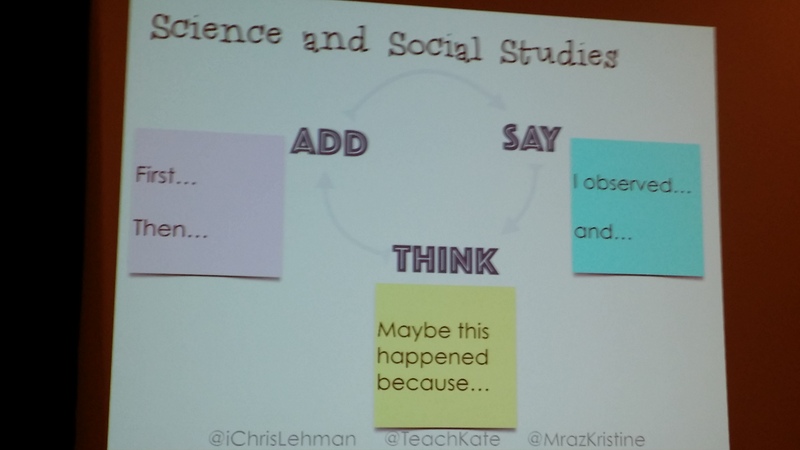 This is a short look into my thinking since Chris, Kate and Kristi Mraz’s (@MrazKristine) presentation at NCTE14! Think about “HOW” you make sense of these pictures . . . where and when do you linger? Check out these notes! @ShawnaCoppola has the most beautiful notes. Here is her visual of the session! If you are on Twitter and are following Shawna, you would have already seen this! If you are not on Twitter, you should be. Lurking is encouraged. Explore the possibilities! Newspapers: Are they biased / unbiased? You may have an answer for that question in the title. But do you know for sure? Definitely? Unequivocally? How did you research this issue? The possibilities for bias in text are endless because text is all around us. Literally and loosely, text is the scenery around us whether it is print or not. The texts that comprise our daily lives may include a variety of print or non-print sources including electronic emails, blogs, newspapers, magazines and books. I want to focus on one of those – the writing found in news sources, typically in newspapers and how we can help students examine that question as they continue to build their reading skills for life. CCSS.ELA-LITERACY.CCRA.R.9 – Analyze how two or more texts address similar themes or topics in order to build knowledge or to compare the approaches the authors take. CCSS.ELA-LITERACY.CCRA.L.5 – Demonstrate understanding of figurative language, word relationships, and nuances in word meanings. One event. Three articles. Three different stories. How do you know whether the news is being reported or if the news is being shaped by the authors and publishers? Let’s investigate further! What do you know? What do you wonder? What theories are you now ready to begin building? What words/phrases do you notice in the opening paragraphs of the article covering the same event – news about immigrant children on this date? Read and jot notes about those words. 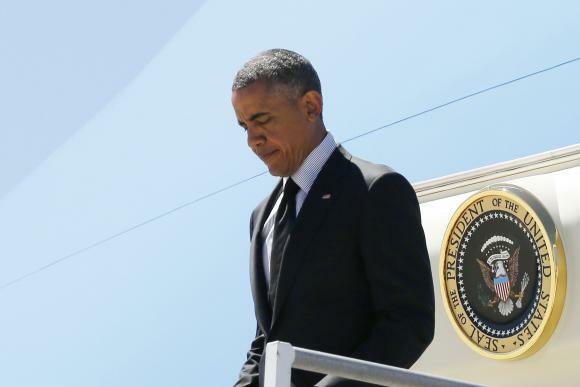 “Even as President Obama grapples with the crisis of immigrant children arriving at the Southwest border, White House officials are laying the groundwork for a large-scale expansion of immigrant rights that would come by executive action within weeks. 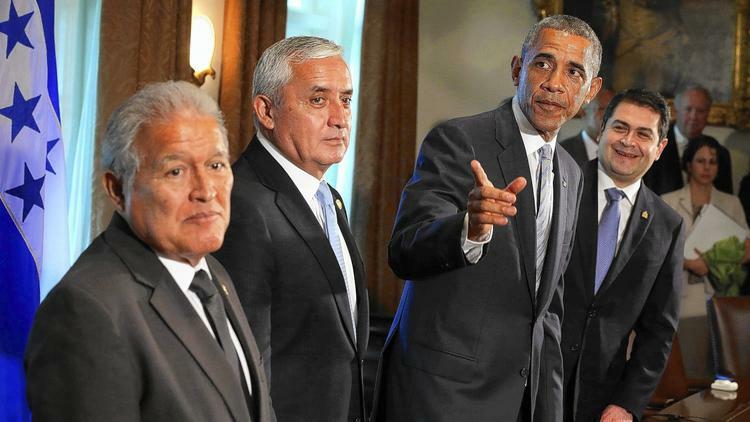 “President Barack Obama urged the leaders of three Central American countries on Friday to work with him to stem the flow of child migrants who have surged across the U.S. border and warned that most of them would not be allowed to stay. 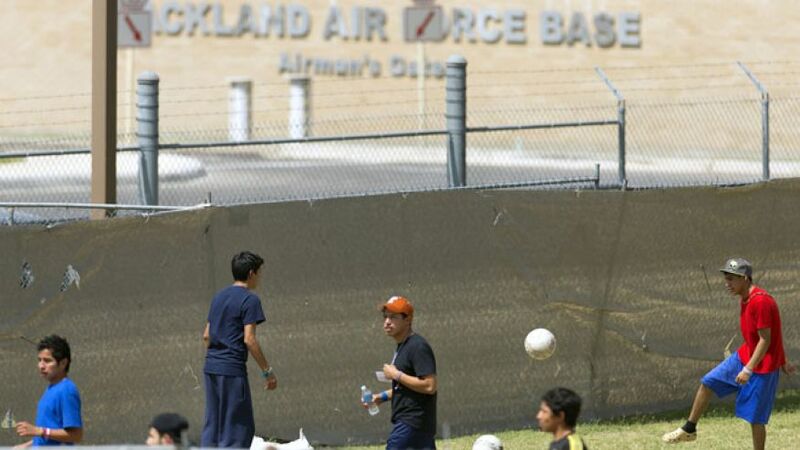 “Republican lawmakers are challenging the Obama administration over a newly announced plan to expand the use of U.S. military bases to house illegal immigrant children, warning that it will put a strain on troops and threaten military readiness. Do you notice any patterns? What are you wondering about at this time? There are many ways to continue reading these articles. The length is conducive to having each student read all three, but a student may only be an “expert” on the actual writing techniques used in one or two of the articles. Do remember that it is sometimes easier to analyze two articles through simultaneous comparing and contrasting rather than just one article by itself. I was wondering about the “experts” and the sources of quotes within the articles. Who does each author use? 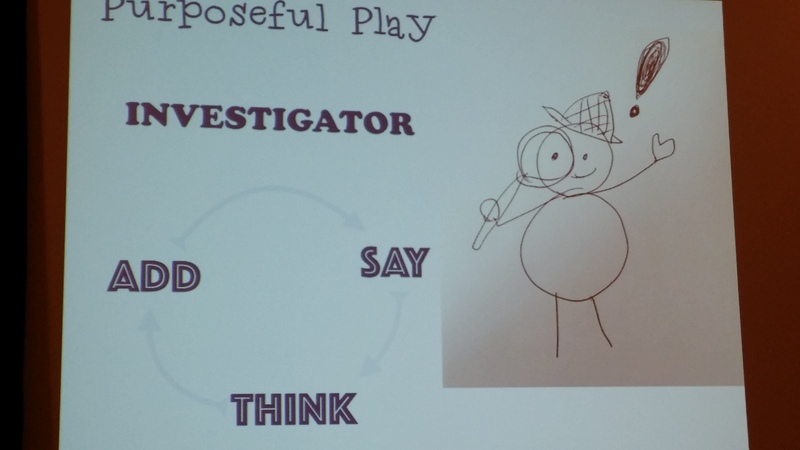 What might instruction/inquiry look like at this point? I might begin to model comparing specific words and phrases that were used in the articles and also begin to discuss the sources. Which words/phrases seem to be the most simple form of reporting (without opinions/emotions) in comparison to words or phrases that seem to have been chosen for their emotional nuances? What could those comparisons look like? Paint chips, a visual way to show the progression of vocabulary words, could be used. 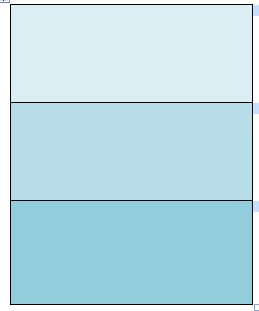 Students in 1:1 districts could simply create these using a chart and add color gradations to the boxes. Or students could consider how to use “shapes” to show the different layers of word meanings / nuances or phrases and words that explicitly provide evidence of the biases and or point of view of the reporters/publishers. Words could then be added as text boxes inside each color. For additional discussion or to see an explanation of this vocabulary activity, see Sarah Brown Wessling, 2010 Teacher of the Year, at the Teaching Channel here. So what are some other choices? If you are a devotee of “Falling in Love with Close Reading” by Chris Lehman and Kate Roberts, you may have been thinking of all the connections between the lenses of text evidence, vocabulary and point of view! That would be another way to conduct a close reading of these articles in order to see how they were “reported differently”. Or, if you are interested in adding in some writing, you might have partner groups of students “summarize” their article in two or three sentences while asking them to include evidence that will help them “defend” their summary as “The Best Summary”. OR you might consider this question – Can you predict how additional topics will be “covered/handled” by Fox News, LA Times and Reuters? After making your prediction (and writing it down), pick a topic, pull up the three different articles and see if your predictions are accurate! Or consider where your own local newspaper fits within this “range” or reporting! Does every text that you read contain some bias? What do you think? What would you need to do to unequivocally answer that? Tuesday is the day to share a “Slice of Life” with Two Writing Teachers. Check out the writers, readers and teachers here. Thanks to Stacey, Anna, Beth, Tara, Dana and Betsey for creating that place for us to work collaboratively. After a very, very family-filled holiday break and ten days without using my laptop, it’s back to “thinking” about professional development for the next two work days. But I would be remiss in moving straight to the list of upcoming events, if I did not slow down and consider the data from last year. 1. Close Reading in Kindergarten? Is it Possible? 3. Common Core: Are you allowed to make “connections” in a close reading? 5. How do I choose text for Close Reading? 6. Close Reading Informational Text? Absolutely! In rereading those entries, I found that eight of the ten were posted in late June – September with only #3 and #5 before that time frame. Interesting for me to note that all of the top 10 were about reading and writing and not necessarily about “resources” which was my original thought for this blog! Still pondering where my focus will be! As a teacher/learner I found that 2013 was a year of growth in deeper understanding of reading and writing and the reciprocal nature of both. Continuing to write and “practice” author’s craft while I listen more to the learners (students and teachers) will also remain on my radar! Stay tuned for more specific 2014 goals! 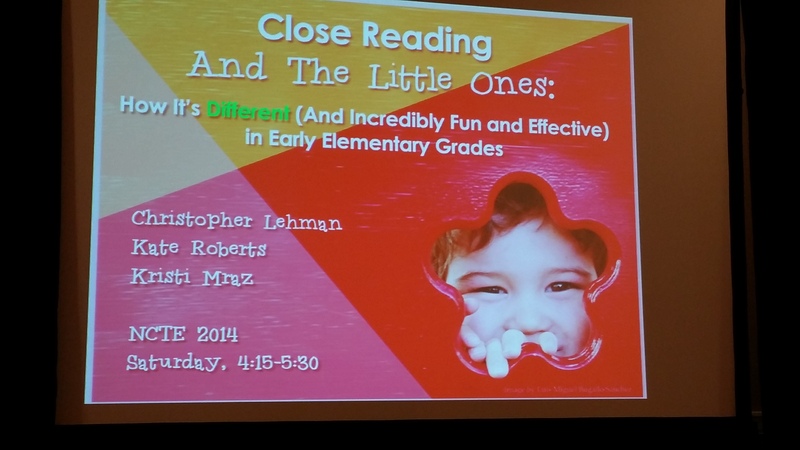 It’s hard to believe that it has almost been a month since we had an online Twitter chat about Kate Roberts and Chris Lehman’s book, Falling in Love with Close Reading. Join us (Allison Jackson @azajacks and Laura Komos @laurakomos) tomorrow night for a follow up chat from 6:30-7:30 pm EST under the #FILWCloseReading hashtag. Wonder what we will chat about? Will @teachkate and @ichrislehman be joining the chat? Not on 12/9/2013 – They are speaking about their book all day long in New York! Is Close Reading killing the love of reading for you and your students? Then you really need to be on Twitter (tweetchat or tweetdeck) to follow #FILWCloseReading Monday, 12/9/13 to listen to a “different view” of close reading that will excite you and your students! We will be looking forward to seeing you! Our Twitter chat celebrating Falling in Love with Close Reading on November 11, 2013 was fabulous, and I must thank co-moderators Allison Jackson and Laura Komos (@azajacks @laurakomos) for their question development, organization, tweeting in advance, and storifying the chat afterwords. 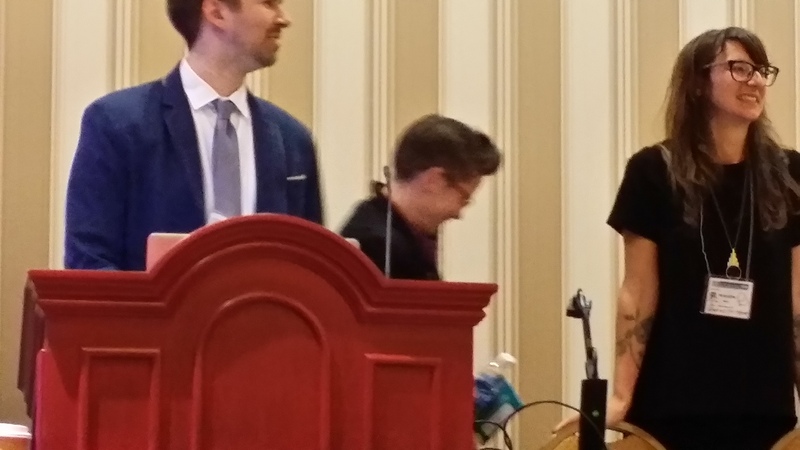 Of course, Chris Lehman and Kate Roberts (@ichrislehman @teachkate) brought a crowd to the chat with their participation. My sincerest thanks to ALL participants and readers because deep understanding is necessary in order to ensure that ALL of our students can read, do read and YES, love to read! 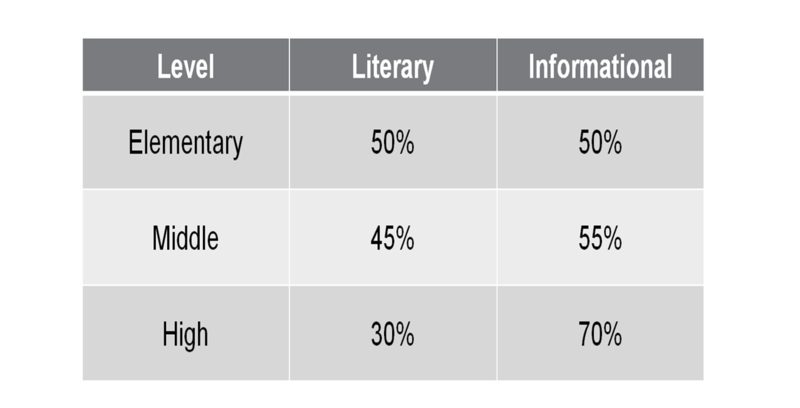 I loved Doug Fisher and Nancy Frey’s view of close reading in Text Complexity, Raising Rigor in Reading when they shared that close reading should come in texts of varying lengths and was not a daily diet requirement as referenced here. And then the signposts from Notice and Note (Kylene Beers and Bob Probst) were next to receive my scrutiny as a book chat and facebook page sprang up! The language of the signposts made so much sense to students and teachers across the country, and one more entry point into “close reading” was revealed! In June/July 2013, I attended both the Writing Institute and the Reading Institute at Teachers College in New York City. I learned what I had feared – that I really had not yet understood the impact and the grade level standards for the Common Core State Standards (and, yes, I was a “hick from the sticks”). 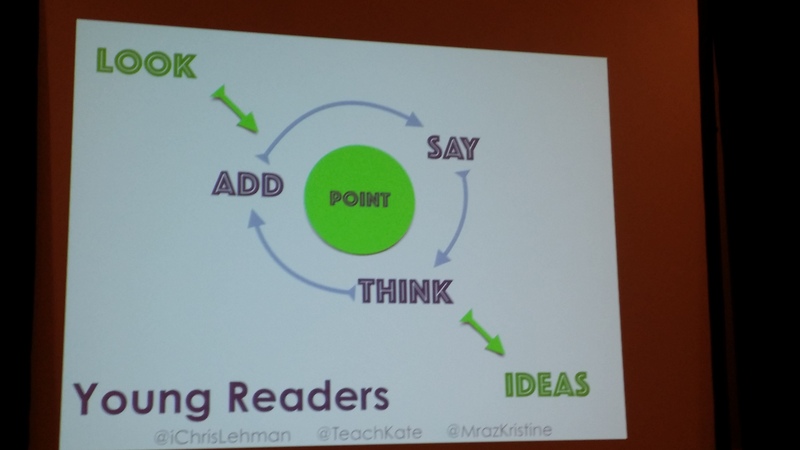 The demonstrations at #tcrwp convinced me that I had not yet begun to grasp the possibilities for depth and scope in “close reading.” Each demonstration was different as the definition of text broadened. Mary Ehrenworth brilliantly provided a “mini-PD format” for Close Reading, for use in our own buildings, that included a poem and two song videos. 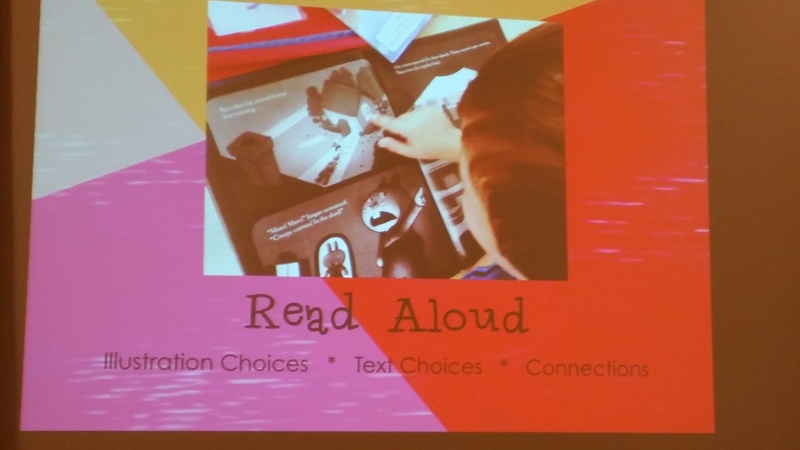 Kate Roberts passionately used video and text to illustrate the necessity of close reading for point of view in nonfiction text and I was captivated. 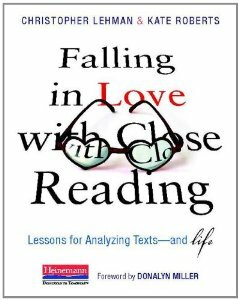 When the pending publication of Falling in Love with Close Reading was announced at the June Writing Institute, I immediately pre-ordered it. My learning journey continued as I read brilliant posts that added to the collective blog-a-thon and my understanding and I did sigh in relief a couple of times when I discovered that I was not “way off base” in my thinking. What was so monumental? That one word – “independently” was a showstopper! 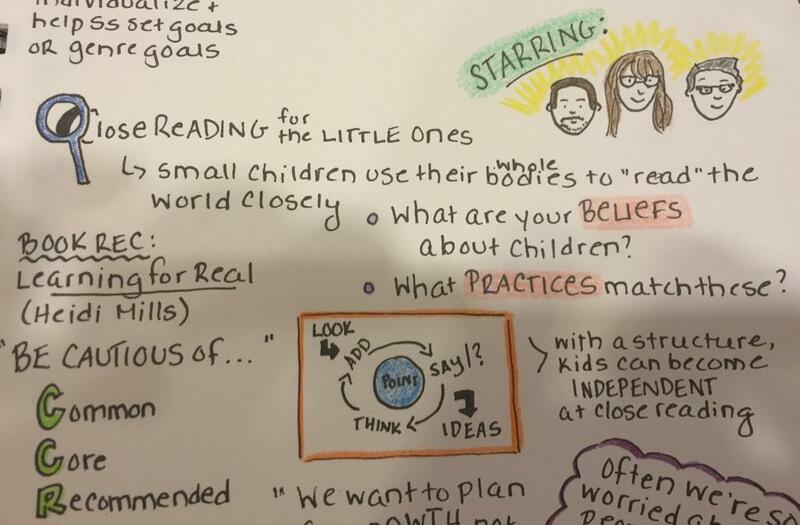 Up until that point, I had wrestled with how to move to deeper understanding with wisdom from Vicki Vinton and my mates at #WRRDchat (What Readers Really Do by Dorothy Barnhouse and Vicki Vinton). The simplicity of “Know / Wonder” charts and looking for patterns has stayed with me as I work with students and teachers to build independence in understanding what readers and writers really do. And then the book arrived. From Donalyn Miller’s first words about The Velveteen Rabbit in the Foreword to the closing pages of the Resources, this book is dedicated to “falling in love.” It is not just about “reading at school” but is truly a ritual for reading life. In love with the book, twitter conversations began. @laurakomos proposed a chat and we were asking the authors to set a date to chat with their readers. Documents were created and blog posts announced the chat. Our Twitter Chat was a fun hour + with laughs (jinxed comments), gnashing of teeth (at some policies) and a whole lot of love, passion, respect and celebration of the close reading rituals that Chris and Kate propose in Falling in Love with Close Reading – Lessons for Analyzing Texts – and Life. You can check out the archive here. “Equally, move freely between analyzing texts, media and life.” (p. 124) The dream is for student independence and where you lead (especially by modeling), the students will follow for the rest of their lives! 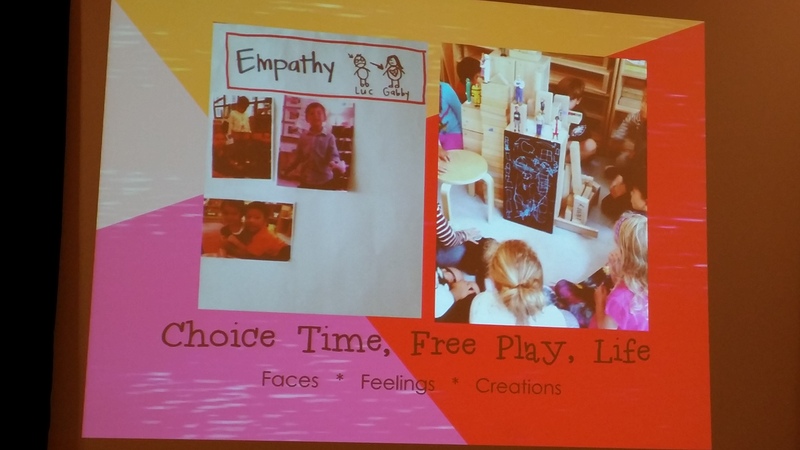 Thanks, Chris and Kate, for such powerful learning and for sharing your ritual with your readers so students may grow in independence as they close read their minutes, hours, days, and lives! How are you close reading your life? 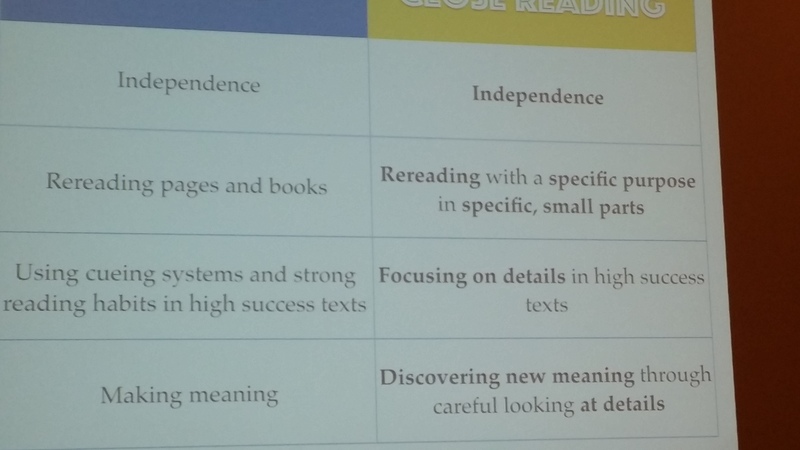 How are you nurturing “independence” in student close reading? How will you know that students are independently close reading their lives? For my post honoring a full year of blogging, it is my pleasure to announce a Twitter Chat for Falling in Love with Close Reading Lessons for Analyzing Texts and Life to be held on Monday, November 11, 2013 from 6-7 pm EST (some of us work on Veteran’s Day 😦 ). The authors @ichrislehman and @teachkate will be joining us for that chat! Our hashtag will be #FILWCloseReading. What can you do during the next two weeks in order to “get ready” for the chat? Don’t have the book? Read a sample from the book available here at Heinemann. We will be talking about the “ritual” for teaching close reading that is the result of “loving the author’s craft” not a “must-do, lock-step procedure” that spans days of instruction for a two page story! Link to chart for lesson ideas and please contribute texts that you have used. Now that I have finished reading the book, I stand at a crossroads. It is not going to be simple, easy and understandable YET! Where do I begin? Do I need to go back and check the level of understanding with text evidence? What about word choice? Structure? Point of View? Across Texts? My plan this morning: Begin at the beginning and go back to CCR Reading Anchor Standard 1 because it is complicated and tricky! What have you read closely lately? Check out the link below if you were not following the blog-a-thon or if you have not yet decided to study close reading. Is Conversation a Critical Component of Close Reading? Is it possible? Or is increased conversation (and or writing) a wonderful, unexpected result of close reading? As week six of the “Close Reading Blog-a-thon” winds down, I spent some time re-reading some of the earlier posts. What was I searching for? Was it deeper knowledge about specific blog content or was it the search for new understanding? Patterns became evident as I found a variety of texts and life situations that included: books, chapters, articles, paragraphs, pictures, artwork, maps, schedules, interview results and community signs. Within these, point of view is readily apparent by what bloggers choose to include (thank you, Kate) and the structures used (thank you, Chris). My initial rereading goal was to study the myriad of informational text styles and structures present in the excellent blogs. But the biggest aha for me, was the fact that close reading conversations ensued and both conversations and writing increased! I commented on posts as I nodded my head in agreement while reading. I mentally composed posts on my drive to work. I found myself writing posts to respond to Kate, Chris and of course Vicki Vinton. Ideas that had been “mulling around in my brain” seemed to crystalize and flow from my keyboard. And I even had internal conversations with myself during close reading! In my personal journey over the last eight months to understand “close reading” and CCR Anchor Standard #1, it has been a combination of reading, writing, and conversations that has increased my understanding. The conversations in my head as well as those in person, or comments on blogs, and even as whole posts to respond to blogs have been helpful to me. Conversations have extended my learning and deepened my understanding. Were the conversations necessary as part of close reading or were they what happened after the close reading? This question made my head spin as I compared it to the inevitable “Which comes first? The chicken or The Egg? Or does it really even matter in the bigger scheme of life? Are conversations a “Critical Component” or an “End Result” of close reading? What do you think? ALL conversations welcome! Close Reading Informational Text? Absolutely! Back in March, I addressed the topic, “How do I choose text for Close Reading?” After my “close reading” as a part of this blog-a-thon, I am comforted by the knowledge that my thinking just six short months ago was not “totally wrong!” However, I continue to admit that my learning experiences at Teachers College Reading and Writing Project have changed many of my perceptions about literacy learning, specifically the grade level expectations for reading and writing under the Common Core/Iowa Core! This is all a work in progress and is often messy! 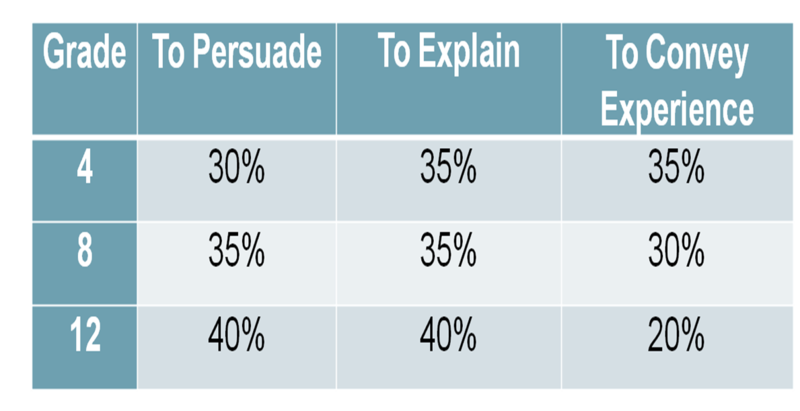 The “evidence” that I am using to support my claim is from the Core documents and includes the percentages of informational text reading across the day for all grades as well as the percentages of informational/explanatory writing across the day. Those are detailed in the following two charts. Do they look familiar? When will students and teachers work on close reading? What length of text will be used? It depends. Many of the beginning texts will be short pieces. However, some full texts will be considered through the use of “Know – Wonder” charts like the one used for Because of Winn-Dixie as described by Vicki Vinton here. Longer pieces of informational text will also be considered if they meet the instructional purposes. Varying lengths of material were supported by Doug Fisher here because they do allow the reader to become the “fifth corner” as proposed by Kate Roberts because the goal is “understanding what the author is saying and then comparing that with our own experiences and beliefs” (p.108). We also remember that our goal is that our students will BE readers and writers (not just read and write)! Does this match your picture of “close reading of informational text?” What would you do differently? Which words or phrases caused you to stop, pause, or reread as you read that definition? Inherent in this definition is the belief that the reader will read like an author while observing the author’s choices within text, media or life. That means that the reader will probably “know and wonder” (Barnhouse & Vinton, What Readers Really Do) or “notice and note” (Beers & Probst, Notice and Note: Strategies for Close Reading) as he/she traces patterns from the text. Pattern tracing may evolve through the use of post-its, reading notebook entries or even on chart paper or interactive white boards. Student reflection on the meaning of the pattern would seem to be essential for “new understandings” to be constructed! What routine(s) should be used? 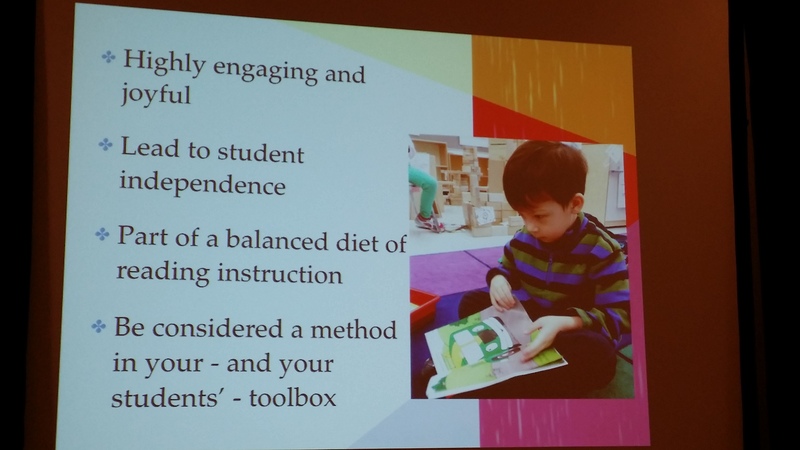 The routine that the reader uses will be based on teacher instruction explicitly designed for independent application by the reader. The instructional format may include conversations about the “stance” or lens that the student is using to view the text: text evidence, word choice, structure, or figurative language. But it could also involve the lens of “character development and change over time.” (CCSS Reading Anchor #3 – Scroll down to the chart about “lonely characters and then go back to read the blog for the chart context.“) In the search for a theme (CCSS Reading Anchor #2), the lens could be the signpost “Again and Again” (Beers & Probst) or “Searching for Meaning”in Dea Conrad-Curry’s post. The path for instruction may be varied but it has to include authentic reading experiences. At times instruction may be inquiry with the teacher carefully observing students and the patterns they discover in their reading. At other points a more direct instructional framework may be Fisher and Frey’s gradual release of responsibility that includes: productive group work, guided instruction, focus lesson (including modeling), and independent work until the ultimate goal of close reading and “constructing new understanding” is TOTALLY dependent on the text and the student! So how do we get to our final destination? Observe the current status of our students. 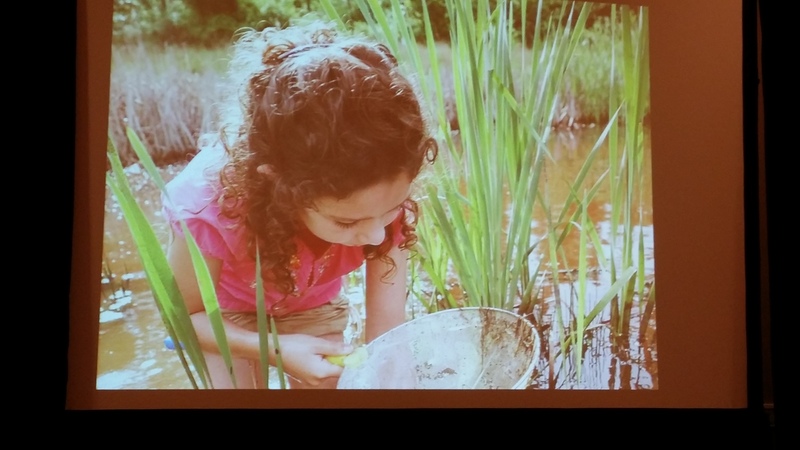 Provide explicit instruction that will “nudge” students to reach new understanding. Continue to “construct” meaning – not just identify it. Use the phrase, “Tell me more” instead of a barrage of questions. Sometimes the learning path will be whole class, small group or 1:1, but the journey needs to begin now. It’s 2013 and we can improve instruction and student learning as we work and learn together with a sense of urgency that will propel student thinking beyond current levels! “We read forward and think backward, making within-text connections to notice patterns” (Barnhouse & Vinton, p.113) as we “trust student talk around texts to support our thinking goals” (p. 122). Reading, observing, talking, thinking about text, media, and life will help construct meaning and fit the puzzle pieces together! It’s complicated! It’s messy! And close reading is definitely a big puzzle with no ONE right way to accomplish it!